1) Standard swing door: The simplest construction, manual operation. The ramp for this system is relatively long, and is mounted inside the cooling chamber. 2)Horizontal sliding door: This eletrical driven door is optimal if the cooling skid is placed, besides the vaccum chamber (one pallet modle and more than 6 pallets systems). 3)Upward lift door:Suggested solution for all systems from 2-6 pallets. Easy installation, easy ramp construction. 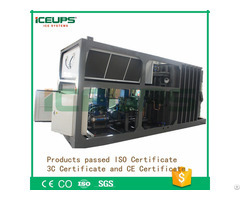 ICEUPS will design and offer the most suitable machine according to clients'requirements. 1) Air condenser:The simplest construction, suitable for small system.Easy to integrate. 2) Water condenser: Low cost, efficient and easy to install. Perfect for most districts climates. 3)Evaporative condenser: Optional system for dry climates, or if water availability is limited. Posted By: SHENZHEN ICEUPS REFRIGERATION EQUIPMENT CO.,LTD. 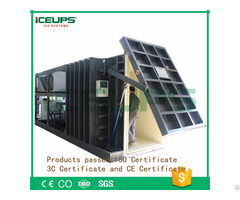 Business Description: HK ICEUPS Refrigeration Equipment Co.,Ltd is a professional manufacturer of refrigeration equipment which dedicated to serving the global market. It has a long history and it’s high-quality refrigeration equipment has been well-known at home and abroad for decades! Currently has multiple brands and wholly-owned subsidiaries in China. 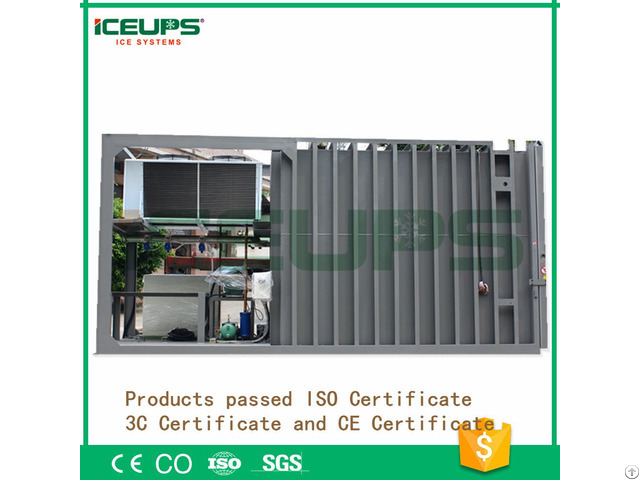 Shenzhen ICEUPS Refrigeration Equipment Co., Ltd. is a wholly-owned subsidiary of HK ICEUPS. The company is a modern refrigeration equipment supplier integrating research and development, manufacturing, sales and service. We have independent research and development institutions,advanced processing equipment,perfect testing mode, excellent innovative technology, high-quality production staff, efficient management team and humanized service system. Our factory covers an area of nearly 20,000 square meters, 10 advanced processing and assembly lines, all kinds of milling machines, CNC lathes, vertical lathes, drilling machines, grinding machines, cutting machines, shearing machines, annealing furnaces, automatic welding machines, intelligent robots etc,we owns hundreds of them. We have been at the forefront of technological innovation in the industry. Over the years, the company has invented and created more than a dozen advanced technologies, and has obtained a number of national innovation invention patents. 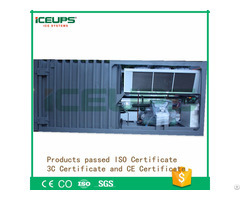 This refrigeration equipment of Shenzhen ICEUPS, Dongguan Arctice, ICEUPS, ARCTICE brand are exported to more than 100 countries and regions in the world, and the quality has earned great reputation from users all over the world! We have established offices and distribution points in South America, the Middle East, Africa, Australia, and Southeast Asia, and immediately responds to data from users around the world. Our machines have hundreds of models,it includes fruits and vegetables vacuum cooler, cooked food vacuum cooler, flake ice machine, direct-cooling block ice machine, sea water ice machine, cold room, tube ice machine, automatic ice storage, ice making evaporator, containerized system, ice delivery system ,conveyor systems, weighing devices, chillers etc,and it covering a wide range of fields including modern agriculture, commerce, food, shipping, transportation, refrigeration, infrastructure, coal, chemicals, paper, nuclear power etc. The casting process, high-quality product performance, intelligent control system, continuous innovation technology, energy-saving environmental protection technology are well-known at home and abroad to meet the diversified needs of the growing global market. We firmly believe that continuous innovation, strict quality management, energy-saving environmental protection technology, and humanized service concept will benefit more and more enterprises, and let more and more customers share our achievements! The energetic young team always takes the customer's request as the basis for us to set higher standards. As a business partner of our customers, we help our customers to win more business value and provide customers with the best refrigeration technology solutions anytime, anywhere!